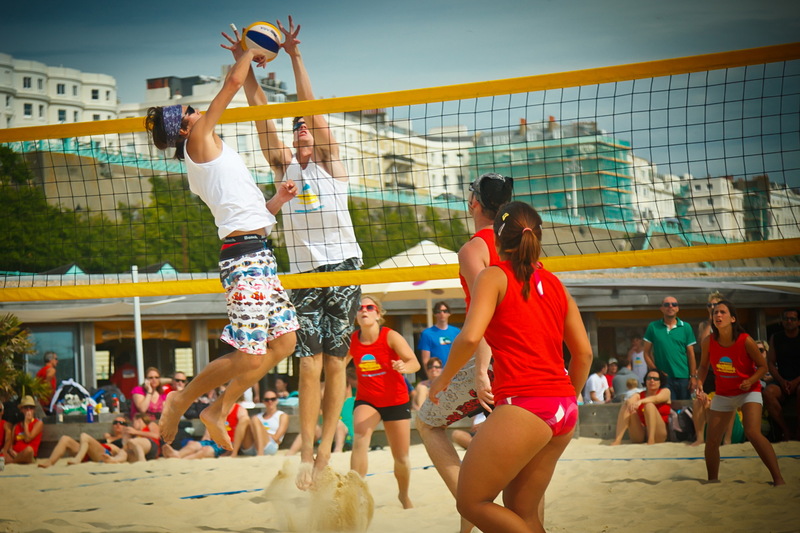 Beach volleyball classes are a great way to get started or develop your game. Run by qualified coaches the emphasis is on having fun whilst learning the key skills needed to play the game. All classes last an hour and incorporate a warm up, fun drills and match play. Classes run year round and are the best way to meet new players and get involved in the Yellowave community. Call us or pop in to book yourself in. 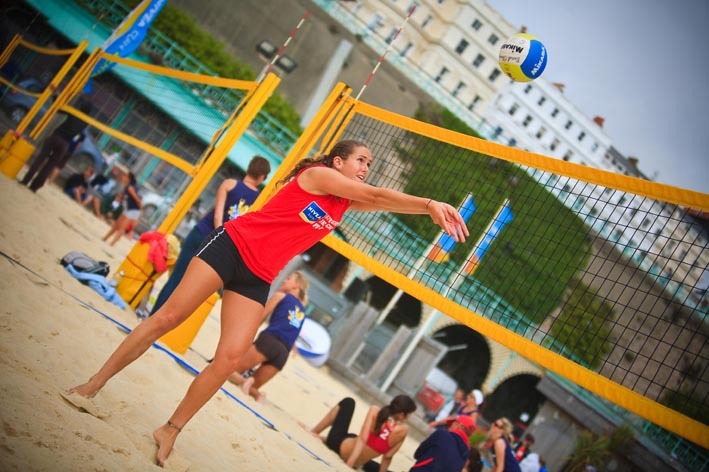 Watch out for our additional guest coach clinics on our ‘What’s On’ page. A great class for complete newbies and those looking to improve their skills. A class for those who have all the core skills nailed and want to advance their game play and fitness. For those who have the basic skills and are looking to improve their game. A drop in session for those who simply want to grab a game with other individuals – no coach. Cost is £4.50pp. Turn up early as there is a limit to spaces. These are ideal for those wishing to improve their skills faster than simply joining the weekly classes or for those who just want a bit of extra tuition on a particular skill. Each session is for between 1-12 players. A fun way to try the sport. Great for get-together’s, parties, hen/stag do’s. 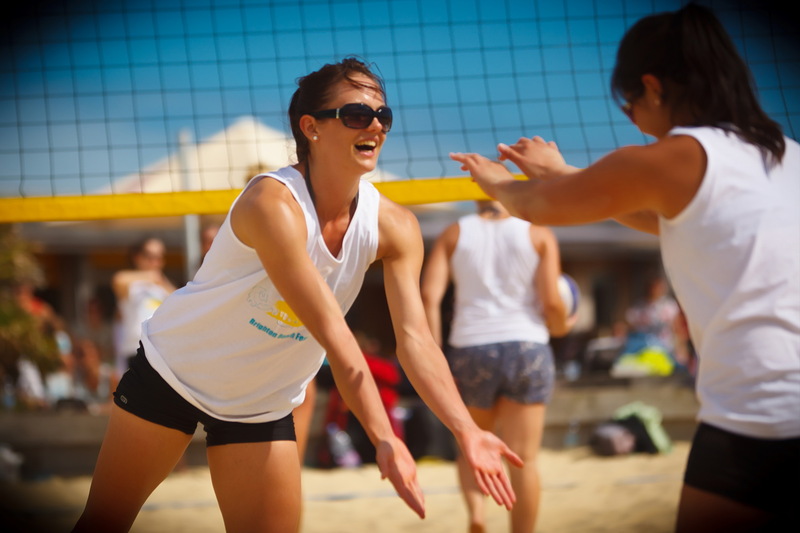 An hour’s introduction to the sport where you get to learn to dig, set and spike. For up to 12 people. If your group is bigger than 12 let us know and we’ll book in additional courts/coaches. Click on our taster / parties page for more info. To book just call us or pop by and ask at reception. Alternatively book online. The first time you book online, you need to call us for a login, but after that, it’s easy as pie. All you need is comfy clothing. Most players wear shorts and a tshirt/vest when warm or leggings or trackie bottoms when it’s a bit colder. No need for anything on your feet until it gets very chilly, then it’s best to wear sand socks, wet suit booties or just warm socks. From early Autumn we sell sand socks at reception. Classes run through out the year come rain or shine. If it’s pouring with rain on the day you can move your booking to the week after, although generally people just get their cagoule on and get stuck in. We have hot showers, lockers and a cafe to warm up in afterwards.